Gantt Charts Made Easy: MindView! Looking for easy-to-use Gantt chart software? 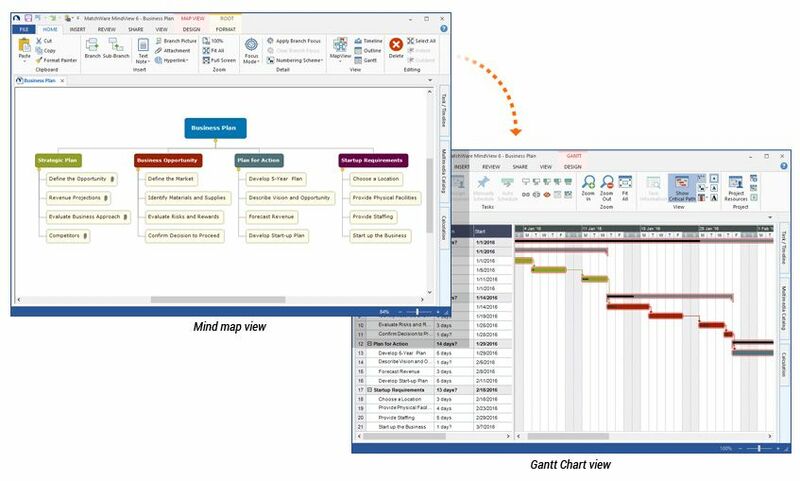 MindView allows you to quickly and easily create Gantt charts, project timelines and is integrated with Microsoft® Project. Until recently, dynamic Gantt chart software was only available in expensive, complex software packages. With MindView, effective project management software is now fast, easy and affordable. "...MindView is among the best brainstorming and project management software you'll find. It breathes visual life into business ideas and data." Download Gantt Chart Software for Free! To visualize complex project information and effectively collaborate with your team, start by brainstorming your project plan in the Work Breakdown Structure (WBS) or the Mind Map view; then add scheduling information, and simply switch to the built-in Gantt view to refine your plan. Faster and easier than traditional white board exercises, MindView enables you to capture project scopes, schedules, and deliverables and display them in an easy to understand visual format. 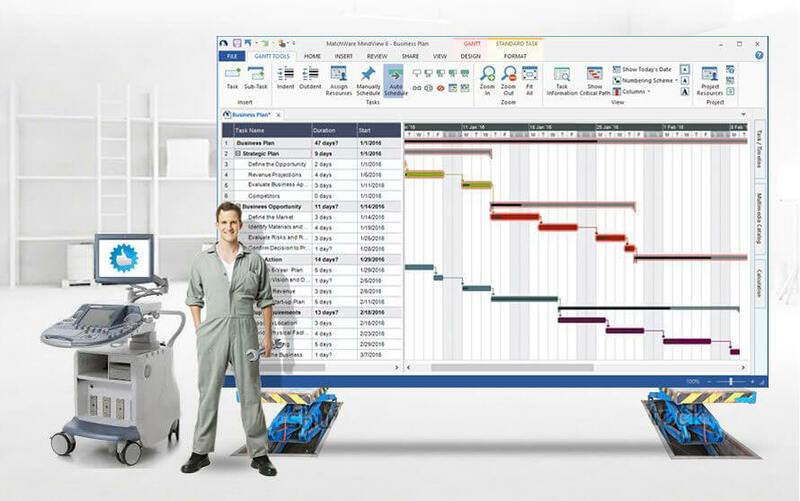 MindView is the perfect Gantt chart software to manage task information from start to finish. Build schedules, allocate resources, manage schedule and scope changes to keep your projects on time and on budget ­ all in a visually appealing interface. 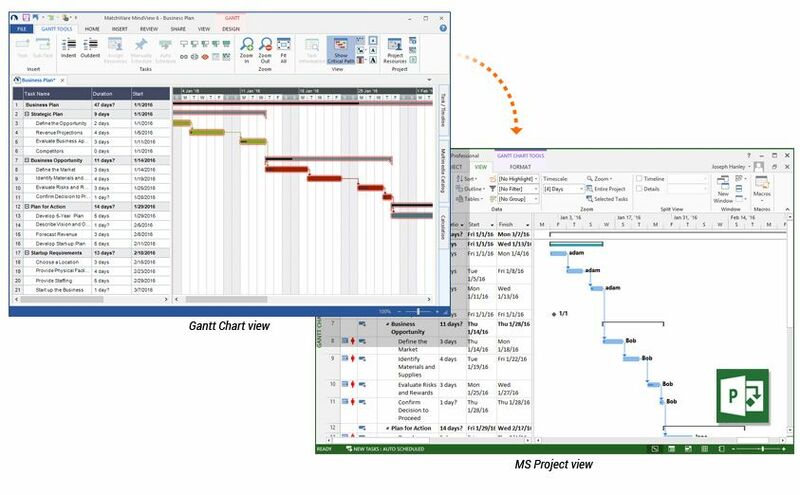 MindView enables you to export your Gantt chart to Microsoft Project for further development. 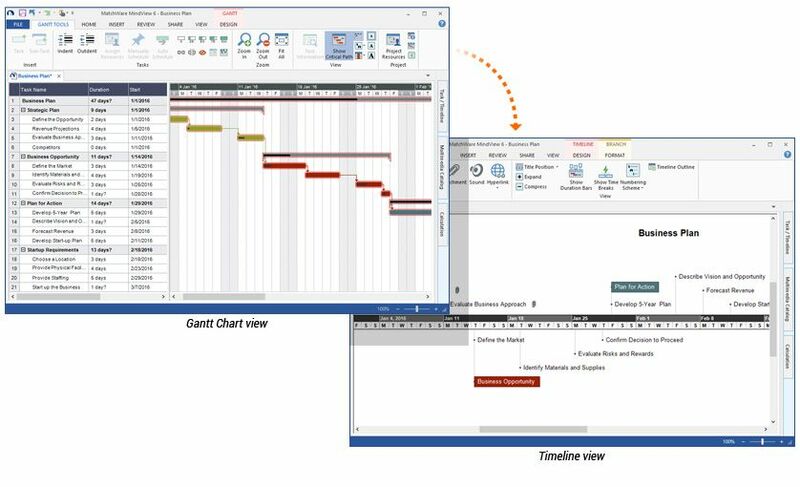 You can also import Gantt charts from MS project. As a premium Gantt chart software, MindView allows you to communicate your chart as a timeline, simplifying the project plan for people unfamiliar with Gantt charts! Want to be 20% more effective? Get started today!